Max distance from eventcentre to competitions 5 km. Event description 26'th of June: Long distance courses according to age. 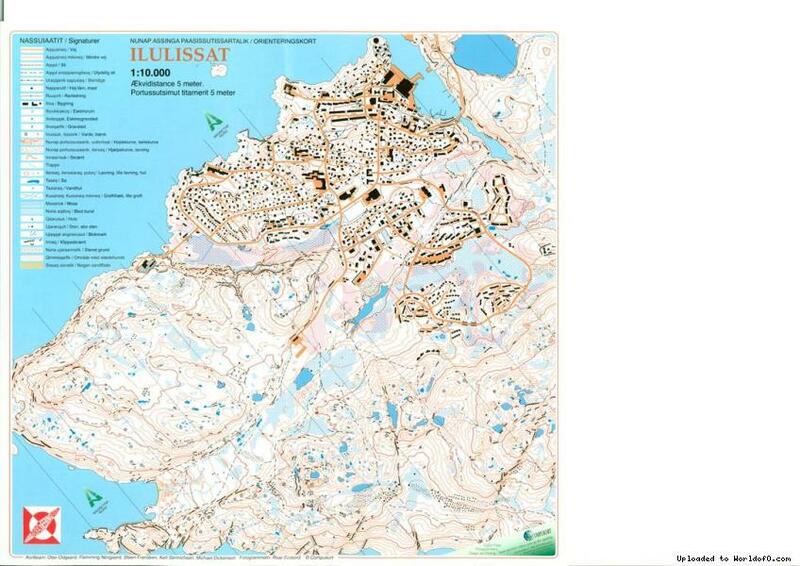 27th of june: Sprint race in the town of Ilulissat with courses according to age. 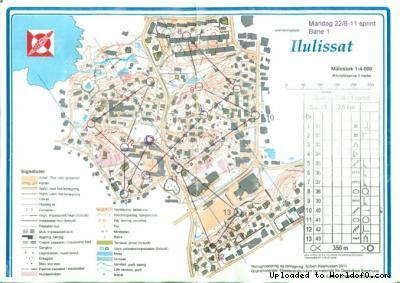 28'th and 29'th of June: Midnight Race with courses at 5, 10, 15 and 20 km in the middle of the arctic night under the midnight sun. 29'th of June evening: Party for participants. The Midnight race is an individual event with a touch of the extreme. 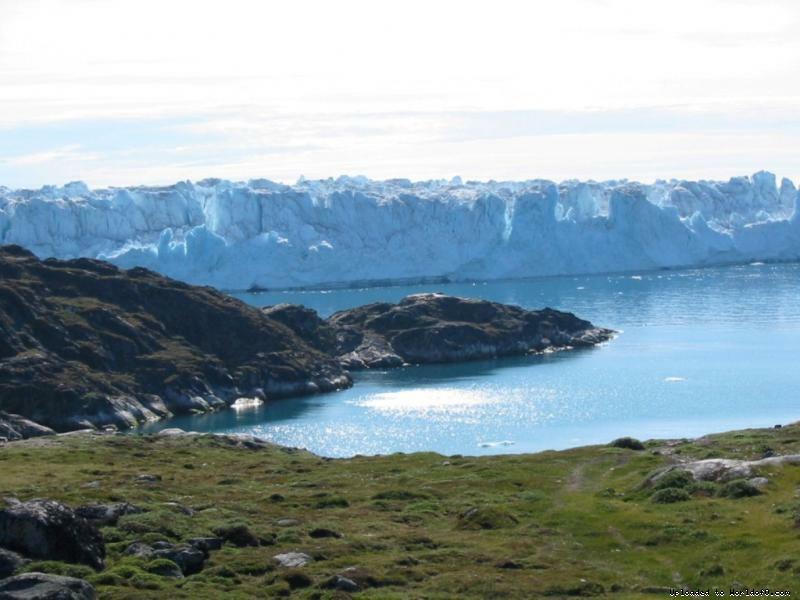 It takes place in a very physically demanding terrain during the arctic night in a nearly deserted but grandiose scenery with no trees and a lot of bare rock. Head lamps are not needed due to the midnight sun. 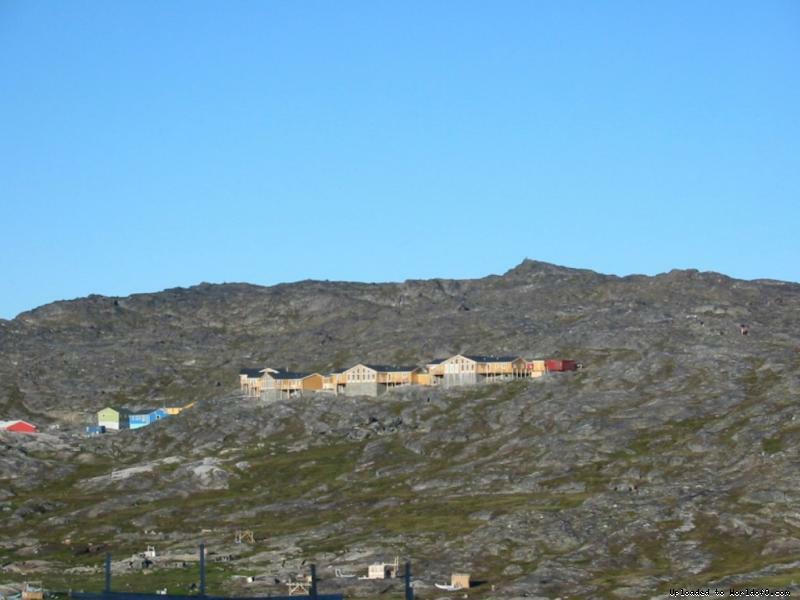 Terrain description The terrain is situated at the city of Ilulissat with a view of the Kangia (Ilulissat Ice Fiord) and the Disko Bay. 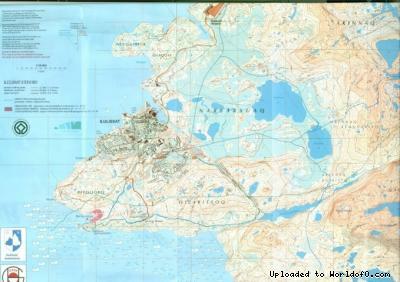 It is an open, hilly area with bare rock, stones or topsoil covered with moss, lichen, crowberry, heather and grass. At this time of the year there is daylight 24 hours per day. The temperature will normally be between +5 and +15 0 C.
Training possibilities Monday the 34'th of June before the race you can participate in the normal training for the local runners. Else the open nature is free to use as training. Holiday activities,nature,hiking etc. There are hiking routes from 2 til 20 km. 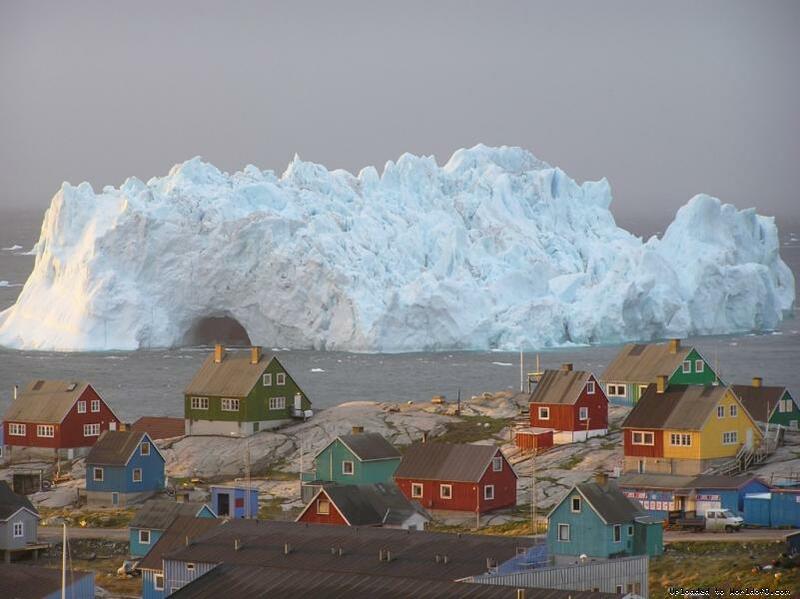 Boat tours with whale watching and icebergs. Tours to local willages and nearby towns. Flight tours with helicopters or fixed wing planes.